Home > Gyan > Thoughts > Mangalyaan – Off to the Red Planet: Are we? Mangalyaan – Off to the Red Planet: Are we? With the Mars Orbiter Mission moving a step closer to its destination towards the later part of the last week, it indeed was a time to think of growing influence of India in the field of space research. If this mission succeeds, ISRO would put India into a unique group of countries reaching mars with India being only fourth in the list including Soviet, USA, and German-French collaboration agency. Mangalyaan, as it is called popularly, which is a Hindi translation for the vehicle to Mars, was launched on November 5th, 2013, from Sriharikota for a year long journey. This successful launch, however, did not come easy and was preceded by years of study, research, collaboration and development. The idea was first introduced after the partial success of Chandrayaan and thus began the phase to study the feasibility of the project in 2010. After a lot of analysis and research, scientists at ISRO concluded that such a mission is possible and would indeed have potential to reveal intriguing insights into this mystery planet. 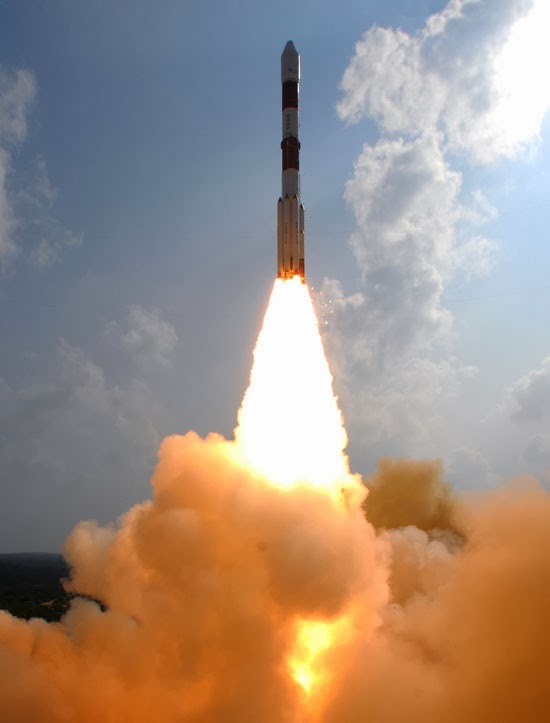 After spending around $20 million in research, the project to take an Indian craft into space aiming for Mars was finally given a go-ahead in August 2012. ISRO swung into action immediately after that to get the craft ready, launch vehicle developed and getting the collaborations in place. The project’s overall costs are estimated to be around INR500 crore (US$ 80 million) which, though sounds high, is highly competitive for such an ambitious goal. NASA is providing the support for communications for the project and some other agencies have chipped in to make the launch a success. Though initially planned to be launched in October, the date was pushed to November because of some technical hitch. Good that it was finally launched now else we would have to wait until 2016 for the right window when Mars comes relatively close to the Earth. However, apart from scientific challenges, ISRO also had to face political and philosophical battles with various sections in the society raising questions on the project in various terms. Though this should be expected and prepared for, I was surprised by one of the leading scientists raising a question over spending “such a huge” amount of money on “something like this” when we are faced with poverty, illiteracy and hundreds of other problems. And over the top of it came a statement from the top – scientific advisor to the prime minister of India – that ISRO could have done more homework for the project. I agree they could have done more but then it would always be the case no matter how much they would have done. Yeh dil maange more and interestingly it always maange more. You can always do more but there needs to be a time when stakeholders sit down and say that enough preparations have been done and they are ready to go ahead. In the case of space research, we pay the scientists at ISRO to take that call, and once they have taken it, we need to support them without any question. As far as justifications for spending the money goes, I believe, every scientific endeavor has a purpose and its success has solutions even if not known now. The man is inherently an explorer and limiting his wings is certainly not the way to go forward. Who knows, we find elements in Mars atmosphere which give us starts to solve medical impossibilities or we derive the confidence into building in-house technology or if nothing else, we develop the capability to extend the service of conducting such missions at a price for other countries. Who thought the development of mobile communication would have such huge impacts on masses. Did we actually know that penicillin would come out to be such useful antibiotic before it was made? We all need to understand that next level of technological innovation would include space in some form or other. Most communications today involve satellites and so does most geological, military and other surveys. Who knows next war is even fought in space!! In any of these scenarios, do we really want India to be catching up when the world is already there or would we prefer to take the lead and show the world how to effectively use the technology for the betterment of everyone. And even if we look at the numbers, more than two-thirds of the quoted $80m price tag was spent on developing the ground stations, communication links, and other infrastructure. This should actually be considered as an investment in infrastructure than a simple expense on this project as these facilities would be used for many other future launches and space endeavors. And all this in a country which fires up more than 1000 crore rupees in crackers on a single day in the name of fun and tradition! India’s first dedicated Mars Orbiter Spacecraft is a significant milestone in the progress of our space programme and space applications. This was the quote of President Pranab Mukherjee while congratulating the team at ISRO and I believe it to be true to the core. I take solace in the fact that putting aside all challenges, ISRO finally launched the mission last week and am eagerly waiting for September 2014 when Mangalyaan reaches into the trajectory around Mars and starts sending data. Till then fingers crossed and wish ISRO all the very best for success in the endeavor. Please visit my post on Chandrayaan-1 mission at The lost vehicle ! !, in case you want to read about another attempt by ISRO in space exploration.